Bill has 27 years involvement and enjoyment within the agency industry . Thoroughly enjoying his chosen occupation and the many friendships that he has made along the way. 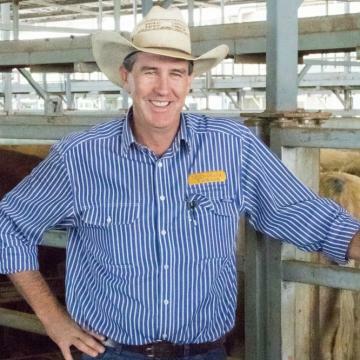 Born and bred in the Mudgee region , Bill has a wealth of local knowledge . Offering a range of marketing options, you can trust Bill to gain a favorable outcome . Bill is also a proud supporter of many sporting & charity organisations within the district , through sponsorship & volunteering work . Bill is married to Julie and has 4 adored children . This 100 acre property is located on the Glen Alice Road a short 3km from Rylstone. With all the attributes of a farm and rural surroundings it is less than 5 minutes drive to town. It presents with a good body of grass for grazing and water in the dam. Power runs through the property. Boundary is fenced and 2 internal paddocks. Dwelling entitlement applies. Additionally it is zoned R5, Large Lot Residential allowing for further subdivision potential into 12 Ha lots. KILDARE is a 528 acre farm with every box ticked. Located just 4km from Rylstone on the Glen Alice road and 3 hours drive west of Sydney it has been manicured and renovated to create one of the most productive parcels of land in our district. The property includes a 3Br + study rendered brick spacious home including an established garden. Well fenced and watered into 11paddocks Kildare lend itself to fattening, breeding and winter cropping. Kildare has been tightly held land in our district and is a very rare offering and comes with agents highest recommendation.